A hero of today's heading is a player under the kUcheR nickname. 27 years are a respectable age for a Counter Stike: Global Offensive player, but it doesn't prevent Emil from pleasing his fans and showing an excellent level of playing. Last changes in Ahundov's family life should have only inspired him for self-improvement, which any of you might have already noticed. 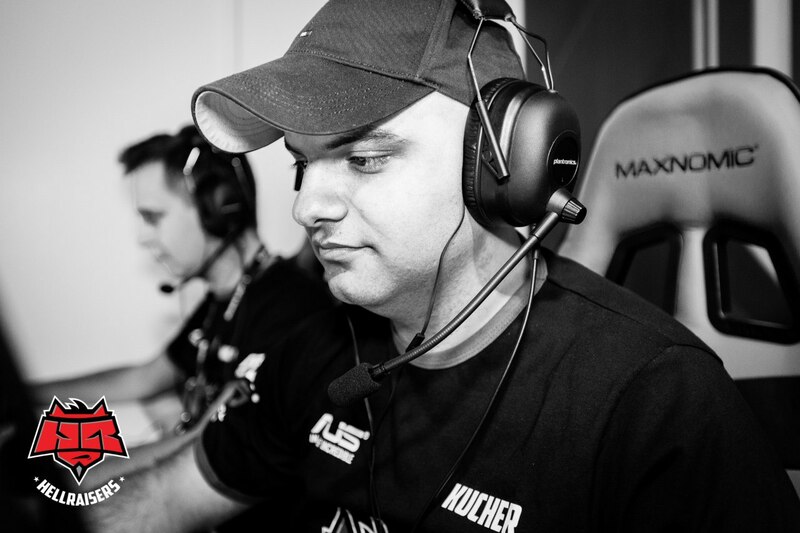 During the professional career kUcheR has played 625 official maps in CS:GO, and, talking about rounds, it's been 16267 ones. Emil has got 10998 kills and died 10973 times (the K/D ratio is 1.00). An HellRaisers old-timer is one of the most stable players at the pro stage. His 1.00 in the K/D column has not been changed for more than 3 years! The best tournament in Emil's career is Dreamhack Summer 2014. He got a 1.20 rating at this tournament. Considering a number of kills in official games, the favorite map of Ahundov is de_inferno (2676). He's got a triple kill in 500 rounds, while a quadra kill was got in 84 ones. In official matches Emil Ahundov has managed to get 16 aces! On average, he gets 68 kills 15 assists in 100 rounds. kUcheR doesn't have the favorite weapon. He's got almost the same number of kills with the AK-47 and M4. We've counted: 3662 kills with the AK-47, 2445 with the M4A1-s and 1234 with the M4A4. P2000 is the most successful pistol for Emil in CS:GO. On his account there are 407 kills with this 13-patron friend. Watch out, terrorists! 128 enemies died by he grenades of HellRaisers' moral leader. By the way, although the Crimean hardly ever puts emotions on hold at Counter-Strike tournaments, he's never lost his voice. Clutch rounds: statistics says that 192 «1 vs 1» situations ended in his favor (55.21%). Going higher: kUcheR's won 58 «1 vs 2» situations. And we've counted 8 victories in «1 vs 3» situations! The headshot percentage of kUcheR is 43,6. And this is despite the fact that he used to be a main sniper of the team for lion's share of his career. Taking into account unofficial matches in Counter-Strike: Global Offensive, Ahundov has planted more than 4100 bombs, and the number of damage is just unthinkable, 35,528,806 points! And, of course, our most favorite measure in all statistics: the hero of today's heading for the time of playing CS:GO has broken 653 windows! Leave your feedback on this heading and let us know whom you would like to read in the next headings about.